﻿﻿Denton County is ever growing and the demand for a Reliable Moving Company continues to grow. 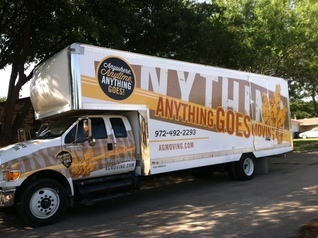 Anything Goes Moving has been a staple in Denton County for decades and plans to continue providing Superior Moving Services. Residents and Commercial Properties alike can call upon AG Moving for the very best in moving, and packing / unpacking services in Denton County. Families moving in and out of The Colony, Carrollton, Denton, Sanger, and Lewisville have called on AG Moving for their top notch metroplex Moving Services. Apartments and Condos are no match for the team at AG Moving! We successfully tackle 3rd and 4th floor apartment moving throughout Denton County weekly. We would love to hear from you if you are planning a move soon. We offer a FREE Estimate to anyone seeking the most Affordable Moving Company in Denton County. For a free Moving quote in Denton County, give Don a call today at 940-566-2620. 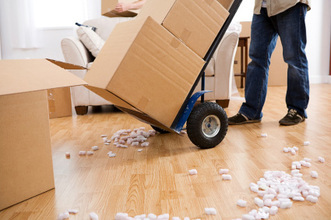 Loading and unloading your belongings isn't the only daunting task when planning a move. Packing and Unpacking can be just as scary, and for some, quite difficult. AG Moving offers packing and unpacking services to residents and businesses in Denton County with the assurance that your belongings will ride safe. Businesses throughout Denton County have turned to AG Moving for Affordable and Reliable Moving prices, as well as packing and unpacking services. We often help local businesses more into larger facilities or even bring in and install new office equipment and furniture. Whatever your case in Denton County, we are here to help. If packing is too much due to your schedule or health, we have dedicated packers and unpackers ready for you. Our Denton County team is waiting for your call. Allow us the opportunity to not only meet, but exceed your expectations. Or call our office at ​(940) 566-2620.